Maybe it is because I grew up in Toronto, where we could get several feet of snow in a winter, maybe it is because my mother made me put on my snowsuit and boots and walk to school. Maybe it was the nature of the times. Regardless, compared to today, I would like to think we as a society were hardier than we are now. Dare I say we have become weather wimps? 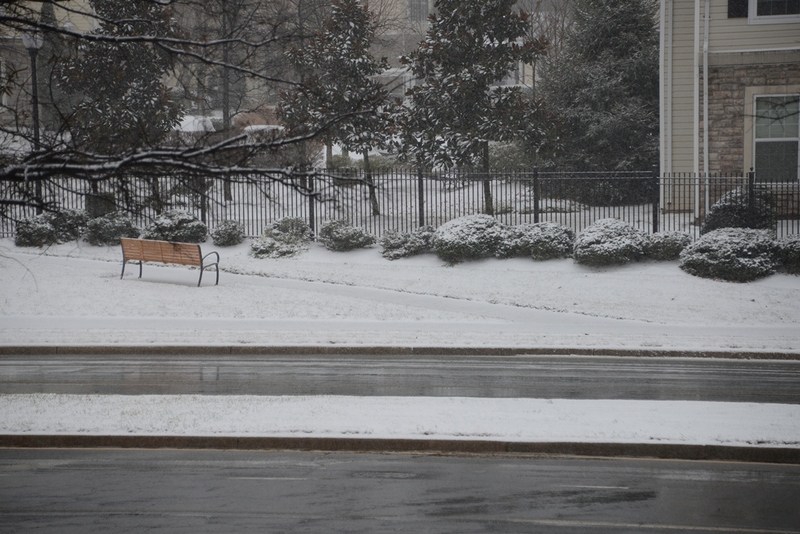 On Tuesday, we had a forecast that predicted we would get between 5 and 8 inches of snow in the region. 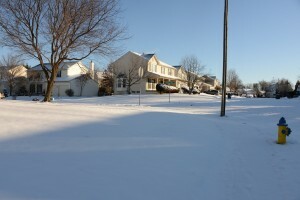 And the forecasters, as a group, were certain that we would get at least five inches. They said we could take it to the bank. Everyone would get at least this much snow. It would start around 8 AM and be heaviest by noon, tapering off by midnight. 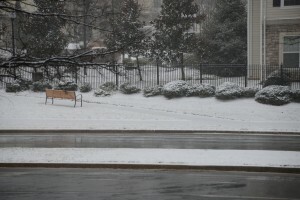 Reports around my office in Herndon at noon were saying there was as much as six inches on the ground, roads were slippery and people should stay home. In preparation for this, the Federal Government closed, schools closed, and people huddled together as if tanks were patrolling the streets looking for radicals. Oh, and it was going to be cold. Single digit wind chills. I remember a picture from the 1970s. I might have been 7 or 8, it is hard to tell, and I am bundled up in my blue snowsuit. The driveway in front of the house is clear and there are piles of snow more than five feet high behind me. I remember digging tunnels in the snow because it was so high. There are several of these pictures from different years. 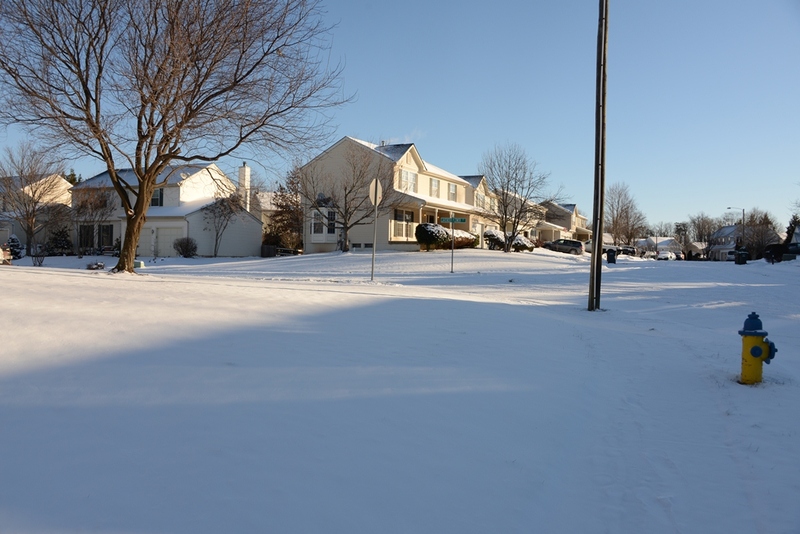 I have strong memories of walking to school in the snow, cursing under my breath about those who could not be bothered to shovel their sidewalks as I trudged through them, snow up to my knees. And yes, it was uphill, one way. And I was not older than 13, because I went to a boarding school when I was 13. I walked to school, about a half a mile, through rain, snow, and heat. Oh, and wind chill. Today, Thursday, is the third weather related closure of the schools in Northern Virginia, with only a couple of exceptions. I supposed you could argue that the side streets are too slippery for the buses to safely negotiate. You could argue that it is too cold for the poor little children to stand waiting for that same school bus. I am not sure I believe either. Yes, it is cold. Officially it is supposed to be -2 before you add in the wind chill. I am not sure I believe that temperature as most of the outside thermometers were considerably above that and there is not much wind. Most of the side streets are really not that bad, certainly negotiable by garbage trucks, and Priuses alike, even the hills, which the buses do not go down. So I am not particularly sure what the reason for closing the schools is. Perhaps it is as simple as people just not having the right clothes? In 2014, I would have expected that the ability to get children to school, safely, and in most types of weather would have improved over my slogging up a hill in the snow. Clearly, it has not only not improved, but has gotten considerably worse. We bus our children from across the street to the school door (or drive them an equally short distance) and then bemoan the fact that they are overweight. We complain about lousy traffic, yet fail to properly equip our cars for winter driving by making sure our windshield washer fluid is full and we have sunglasses at the ready for glare. Is it any wonder that when a real disaster strikes, people throw up their hands and demand the government help them? Especially when it is clear they cannot even handle a little snow. This Thursday (January 23) is National Handwriting Day in the United States. Established in 1977 as a day to acknowledge and celebrate the handwritten word it was created by the Writing Instruments Manufacturing Association “as a chance for all of us to re-explore the purity and power of handwriting”. On the topic of handwriting, specifically writing letters, I finished reading To the Letter: A Celebration of the Lost Art of Letter Writing and really quite enjoyed it. It was a little bit of the history of the written letter, despite Simon Garfield’s initial statements that it was not the purpose of the book. It was a bit of biography, because after all, that it what most letters, that are kept become, the basis for a biography, and a review of the evolution of the post as we know it today. It was a fascinating read. And while he did not outwardly attempt to say that this medium of electronic “mail” is bad, he certainly highlighted many of the failings of not putting pen to paper and sending a letter. So for National Handwriting Day, I encourage everyone to pick up their pen and write someone they know a letter. Put a stamp on it and mail it! And once you have done that, it is also time for the Annual Handwriting Contest! And like last year, I am going to put my mind to it and my pen and see what I can come up with. You should too! Deadline is the end of January.